The Radiesse range consists of injectable dermal fillers that temporarily add volume to help smooth moderate to severe facial wrinkles and give immediate lifting and firming effect of the skin. Once injected, Radiesse directly provides volume and lift needed to diminish the signs of ageing because of the calcium-based microspheres and gel that comprise the product. The body will release both the gel and the microspheres over time. The unique form of Radiesse stimulates the production of new collagen, which results in increased volume that can last a year or more for many patients. It restores volume in the skin, smooth away wrinkles and improve skin quality in the long-term. 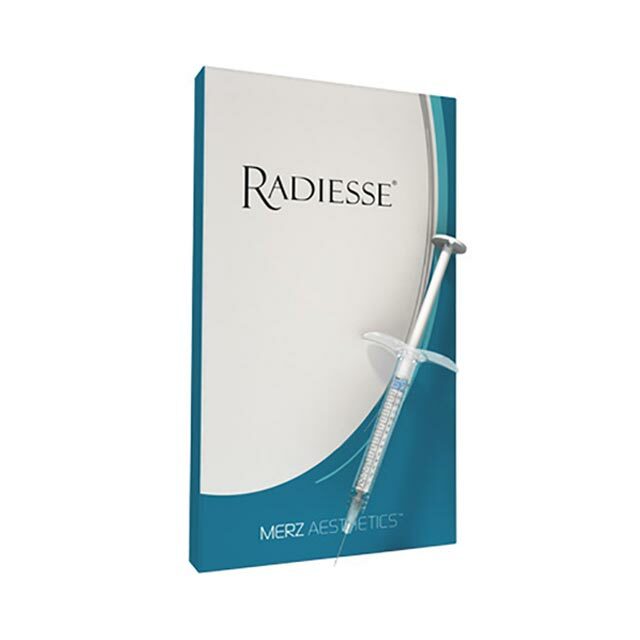 Radiesse 0,8 ml is an injectable dermal filler that stimulates the production of new collagen and temporarily adds volume to help smooth moderate to severe facial wrinkles and gives an immediate lifting and firming effect of the skin and helps minimize the effects of aging by immediately replenishing lost volume. 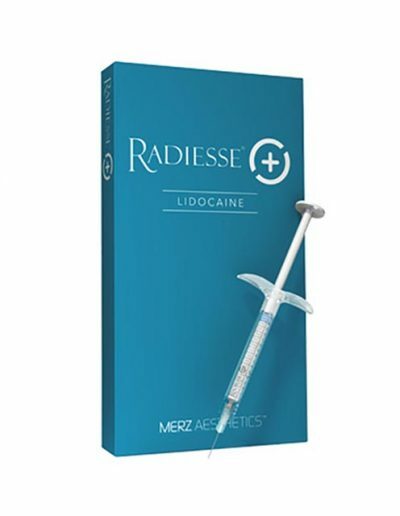 Radiesse 0,8 ml Lidocaine is an injectable dermal filler that stimulates the production of new collagen and temporarily adds volume to help smooth moderate to severe facial wrinkles and gives an immediate lifting and firming effect of the skin and helps minimize the effects of aging by immediately replenishing lost volume. Contains lidocaine. 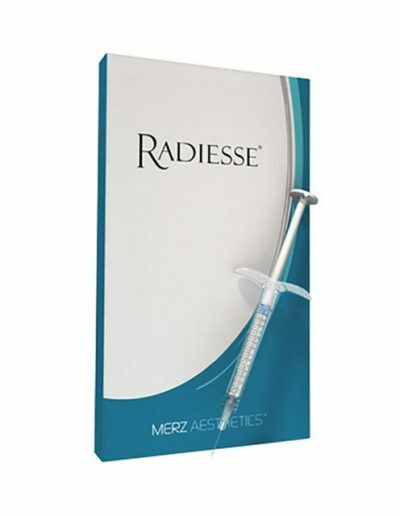 Radiesse 1,5 ml is an injectable dermal filler that stimulates the production of new collagen and temporarily adds volume to help smooth moderate to severe facial wrinkles and gives an immediate lifting and firming effect of the skin and helps minimize the effects of aging by immediately replenishing lost volume. 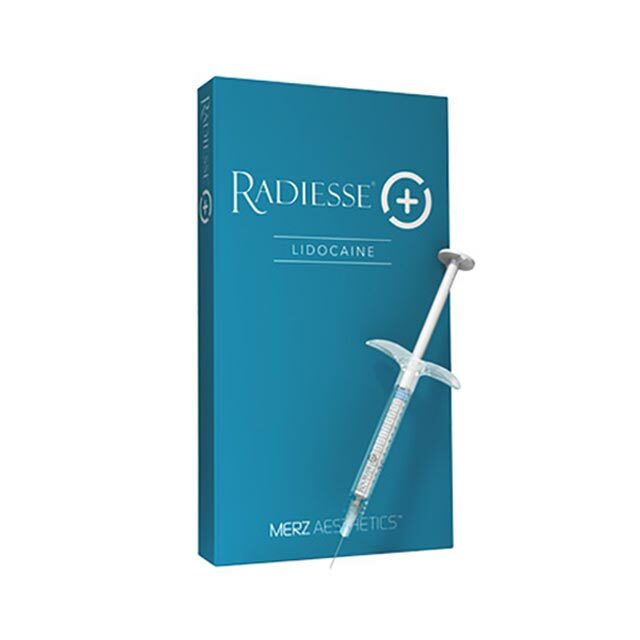 Radiesse Lidocaine 1,5 ml is an injectable dermal filler that stimulates the production of new collagen and temporarily adds volume to help smooth moderate to severe facial wrinkles and gives an immediate lifting and firming effect of the skin and helps minimize the effects of aging by immediately replenishing lost volume. Contains lidocaine.